Most people don’t exactly pull the most attractive expressions while they’re getting down and dirty with someone, let’s face it. All that grunting and grimacing… I mean, there’s clearly a reason why we usually turn the lights off. But there’s one dude showing us that it doesn’t have to be quite so awkward. That dude is a lion, and he is absolutely owning it. 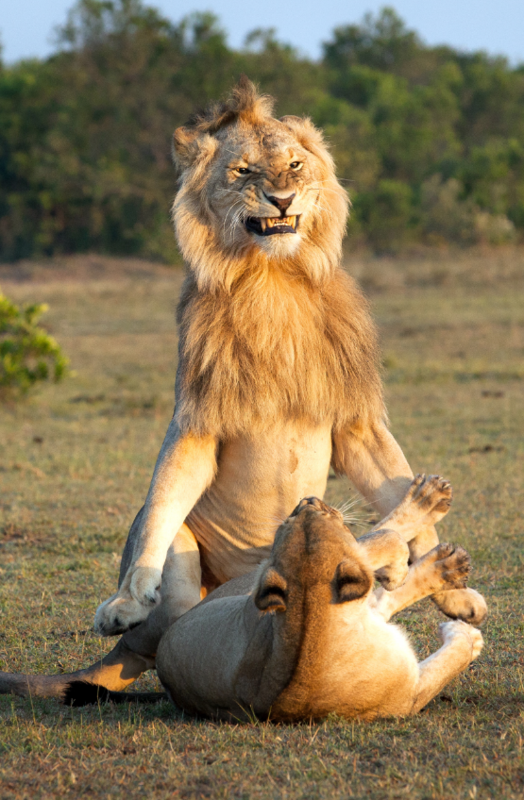 The cool cat was photographed mating with a lioness at the Maasai Mara National Reserve in Kenya, and as you can see, he’s absolutely chuffed with himself. Photographer Václav Šilha, 55, spotted the intimate moment while visiting the reserve and decided to capture it for the world to see. 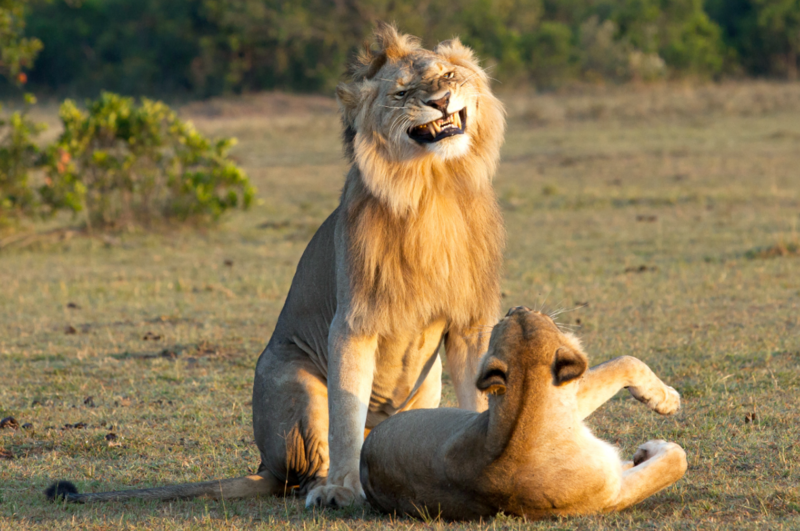 Václav, who is sharing his images of the cocky lion grinning from ear to ear for the first time, said: “I like my photos to capture some interaction. “Whether among animals, nature or advancing civilisation. 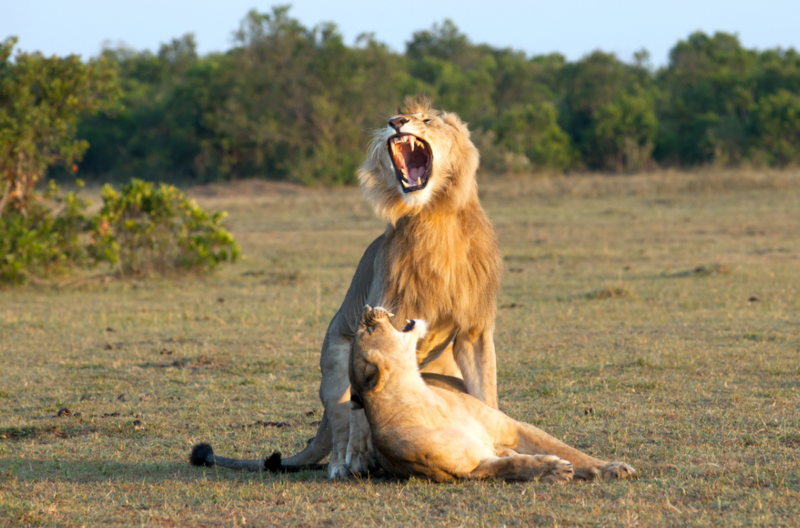 “As soon as the female is ready to mate, she would raise her tail and provoke him by rubbing him or crawling at his feet. “The male follows her impatiently, for the female leaves behind a strong odour. “This lasts for three to five days in females, and during this time the pair are able to mate up to 200 times. Sounds exhausting… No wonder he’s full of pride. Ba-dum–tshhhh.